With Joe Mauer’s retirement, the Twins are lacking a face of the franchise-type player. But if there’s anyone who has an argument to be the leader for that title, it’d have to be Eddie Rosario. Nobody’s been as good for as long in the organization as Rosie. That seems weird to say. 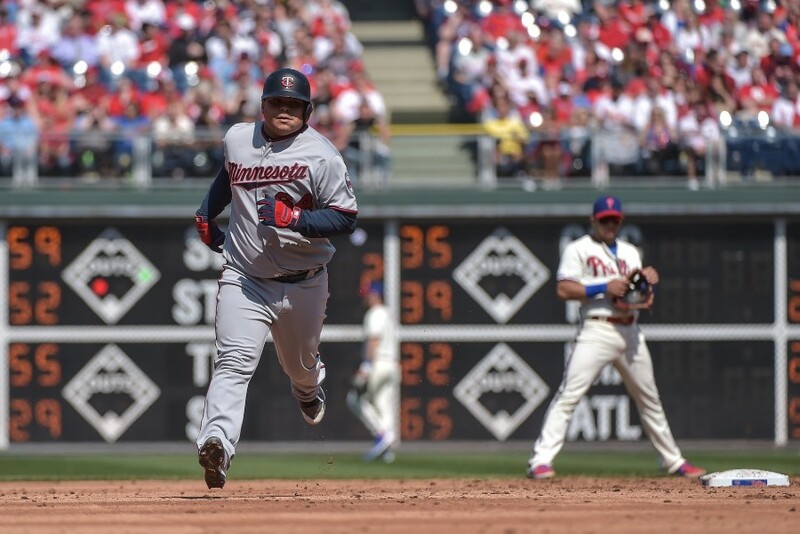 Rosario busted out of a season-opening slump by banging a big three-run home run off the foul pole, giving the Twins some much-needed insurance. The Twins held a 3-2 advantage heading into the ninth inning, but the Phillies seemed to be gaining momentum. They left the bases loaded in the eighth inning, and it was starting to feel like it was only a matter of time before they busted loose, as if bad things were to come in the bottom of the ninth. Luckily, Rosario took a lot of the tension out of this game by blasting that three-run homer. It's been rough going early on for Rosario. He actually started today's game on the bench, but here's hoping that big pinch hit homer breaks him out of this mini seson-opening funk. That meant Blake Parker, who was already warming in the pen at the time the homer was hit, entered the bottom of the ninth with a four-run cushion. But prior to that, his bullpen mates Adalberto Mejia, Trevor Hildenberger and Taylor Rogers did a great job at protecting the lead. The bullpen combined for four scoreless innings and gave up just three hits, two of which were fluky infield singles. It was an impressive performance against a formidable lineup. Prior to that big homer from Rosario, the Twins haven’t had a ton of luck batting with runners on base so far this season, but they found a workaround today. In the third inning, Byron Buxton singled, stole second base, advanced to third on a groundout and scored on a wild pitch. Max Kepler and Willians Astudillo followed that up with back-to-back two-out home runs. Possibly the most shocking thing we saw today, however, was Astudillo draw a walk. There were no shortage of candidates, but my pick for biggest x-factor on this Twins club was Michael Pineda. So far, so good. It’s only been two starts and a grand total of nine innings pitched, but Pineda has been strong. He’s only yielded five hits and two runs, walked a pair and has 10 strikeouts. The big issue with him has been staying healthy, but if Pineda can be a pillar in this rotation it’ll go a long way toward this team finding consistency. Mejia wasn’t exactly a workhorse as a starting pitcher. I’d have to imagine he’s still getting acclimated to work in the bullpen, but manager Rocco Baldelli seems motivated to break him in out there. Mejia threw 42 pitches Wednesday and 37 more last night, but was back on the job again this afternoon. He was brought into the sixth inning to face Bryce Harper, which makes a lot of sense to set up the left-on-left matchup, but he gave up a double, a walk, a sac fly and then got bailed out by some good defense by Byron Buxton and a poor risk taken by Harper. A shallow fly ball was hit to center, Buxton did a nice job of getting himself set to make a play, but Harper took off for home anyway. The throw was a bit up the line, but Willians Astudillo was able to reel it in and tag out a leaping Harper for a double play. Mejia only ended up with 12 pitches today, but it’s still pretty striking to see a guy all the way up at 91 on the bullpen usage chart. Trial by fire, I guess. Needing some extra length in the bullpen, the Twins called up Chase De Jong, who also needed to be added to the 40-man roster, and designated Tyler Austin for assignment. This was probably bound to happen to Austin sooner or later, but he was a great guy to have around as insurance in case C.J. Cron or Nelson Cruz got hurt. Austin would need to clear waivers in order to remain in the org, but since he’s been DFAd once before already, he’ll also have the chance to elect free agency if he clears. That’s probably a moot point anyway, since I imagine one of the rebuilding teams will happily put in a waiver claim on Austin. As for De Jong, it’s a surprising to see him be the first man up, especially considering the Twins dropped him from the 40 man this offseason. It’s possible the Twins think it’s more important to keep the Kohl Stewart, Zack Littell and Stephen Gonsalves types on their starting schedules for developmental purposes. Stewart also just started Thursday. All around great game, I can't believe I am saying it, but this team is fun to watch. Twins are off again tomorrow (booooo), but it’s still pretty striking to see a guy all the way up at 91 on the bullpen usage chart. Trial by fire, I guess. Nice writeup - quick correction: Twins do play tomorrow @ Philly. I think you even listed it in the "upcoming" section. I'm not sure how Buxton got so much on that throw without even really winding up. We got lucky that Harper made that ill advised tag there because Mejia looked pretty shakey today. Overall pretty good game, 8/10. 9/10 with rice. Thank you. That's actually not the first time I've been caught thinking it was Sunday today. I think switching days for the minor league report this season has me all screwed up. Yes, that's all it takes. It was noted in the De Jong thread that today was only the 10th day of the MLB season. So all of the pitchers on the 40-man were ineligible to be recalled until tomorrow, unless there was an injury and someone went on the DL IL. And if they decided to drop Austin for a pitcher, that frees up a 40-man spot too, so they might as well use it on someone. Really appreciated Rosario's HR.One missed pitch in the ninth with 3 - 2 lead and it is a tie game or a loss. Nice to see Max finding his power stroke.It seems like he is hitting the ball hard all the time now.Still a bit unlucky with BABIP but hopefully that comes around. Was happy to see the La Tortuga put one in the seats and even better take a walk.Seems like other teams might be a bit scared of the Turle these days and don't want to give him strikes or good pitches early in the count. Felt like the bull pen was shaky but it is a young group with guys getting adjusted etc.I think over time we will be alright in the pen. Pineda was the star for me though.Coming in and shutting that high powered lineup down today was huge.He pitches the same no matter the team it seems with excellent results so far. Very relieved that we will have at least one win in Philly with a chance for two.Also nice to see that we can play with the big boys. Thank you. That's actually not the first time I've been caught thinking it was Sunday today. Explains why it was so easy getting a front-pew seat at church, and also why they skipped the sermon. Said a couple times to my wife that very thing. They look like they're having fun, and they look confident. Never had that look last year. One of the really fun aspects of Astudillo is how well he is playing in the field - yesterday at first, today at Catcher.He is more than utility.He is just playing great ball.No idea if it can continue, but how fun! Are we so desperate that we would have to bring DeJong up because it would be one more day before we can bring up 40 man roster players?Is this poor planning? I thought Rogers pitched really well, that was one of those innings where one of the Twins pitchers of the past would have cracked and gave something up; two weak dribblers around a walk and next thing you know we give up a 2 rund double, but no, Rogers kept tough and got them out of the inning. It was nice to see. Also, on Rosario and the Twins. It feels like up to this point so far that the Twins don't have to count on 2 or 3 dudes to make everything happen like in the past. It always seemed like a guy like Rosario would go into a little slump and then the Twins would drop 4 - 5 in a row. Now it just seems like they have someone else that will just step up and make **** happen. Seems like the proverbial team effort. I feel good watching this. Its too bad yesterday's game showed how far this team is from being able to compete against high payroll teams. I might have felt pretty good about this win otherwise. So then what did today’s game show us? Great game. Great call (by Shelton! apparently) to have Rosario already double switched into the pitcher spot. Except for those 8th inning fluke dribblers just out of the grasp of Rogers and Astudillo, except for those, I thought the Twins really executed defensively. Remember Buxton was a great pitcher in high school throwing one of those high school measured fast balls in the mid to high 90's. This, of course, could mean he threw it in the high 80's, but still was a very good HS pitcher and we've seen his arm since he first got called up. This was a great game, let's hope the big "B" is tossing flames tomorrow. Would be a big time statement to go into Philly and take this early season series. Comments after the loss suggested we were miles from competing with the likes of the Phillies. That Pineda might be a good pickup? That Willians Astudillo is better than Bryce Harper? That Allen Iverson throws a baseball better than I thought he could? (still pretty bad though) That Buxton is really fast and needs to get on base more? 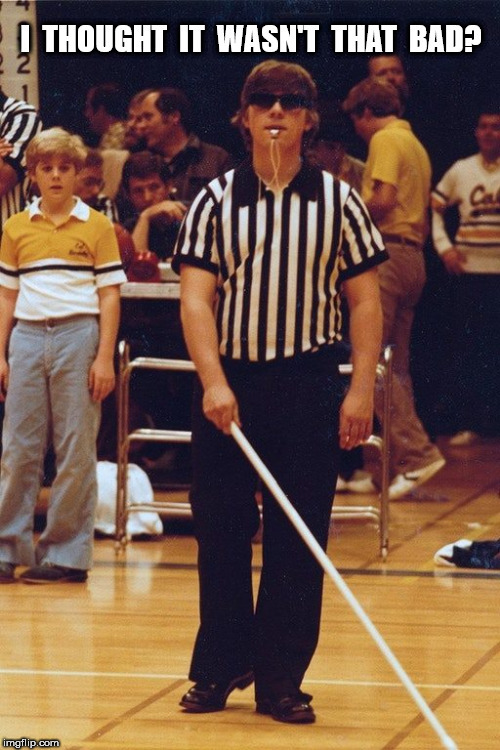 That the umpiring was better than the refereeing in the Final Four ? (how was that double dribble not called?) Mostly what today's game showed us is that the Twins played better than the Phillies today. Hopefully tomorrow will show a similar result. Interesting to hear Rocco credit Shelton for the double-switch that gave Rosie a chance to bat in the 9th. Sounds like Shelton's been earning his money so far this year in the early goings. Cool to see Baldelli give credit where it was due also. In most churches I’ve been to, getting a front-row pew hasn’t been hard. Unless I’m late and that’s all that’s left. Absolutely agree with Twodogs on the lineup and this team getting contributions from all over, and not relying on a single player, or two. This lineup has a chance to be deep and dangerous with a quality bench. 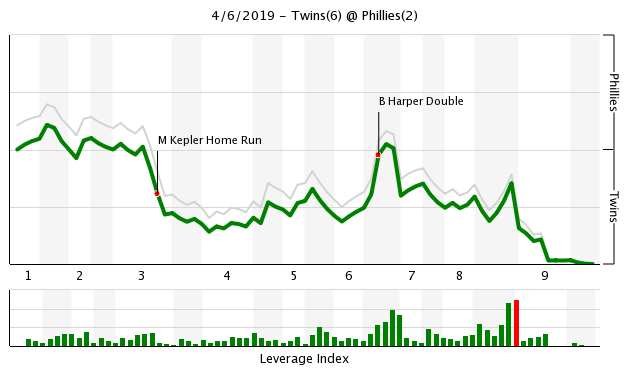 Kepler and Rosario coming alive after such profound cold streaks, (sarcasm!) They won today and fought back Friday without Cruz. A clunker of a second start by Odorizzi after a great first one and the pen has been very effective thus far. Early? Yep. But I am encouraged. Let's just please not burn out Mejia before the break.